Eugene Wijeysingha is the author of For A Better Age. His career in education spanned a total of 35 years. 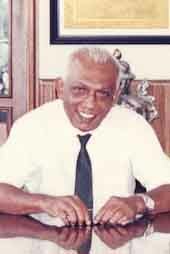 Starting off as a teacher in Raffles Institution in 1959, he moved on, assuming a variety of positions within the educational establishment, finally returning to his first school as its head in 1985. Involvement in the training of school principals and attendance at international programmes on education and school leadership provided him with a broad insight into the intricacies of school management. Many of the insights gained are captured in this publication. On retiring from the education service in 1994, he sustained his involvement in education through talks to various groups and institutions, serving as a consultant to overseas schools and as a newspaper columnist. Beginning with history textbooks for secondary schools, he continued to write after his retirement, compiling a total of eight published works, including this one.